The two hottest GPS watches on the market right now are the Garmin Fenix 5X Plus and the Suunto 9. Both were released in Spring 2018 and are packed to the gills with cutting-edge features. 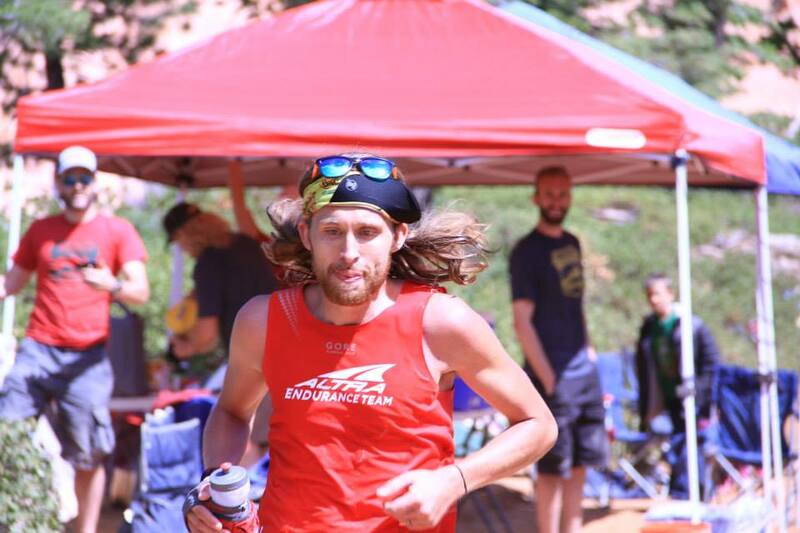 Which multi-sport watch is the best for trail and ultra running? We put the pair head to head to find out where each one excelled and where they fell flat. Garmin and Suunto both get major props for creating rugged watches that look as good as they perform. The Suunto 9 has a slightly more streamlined look because it has fewer buttons, while the Fenix 5X beautifully embraces the big and bold look. 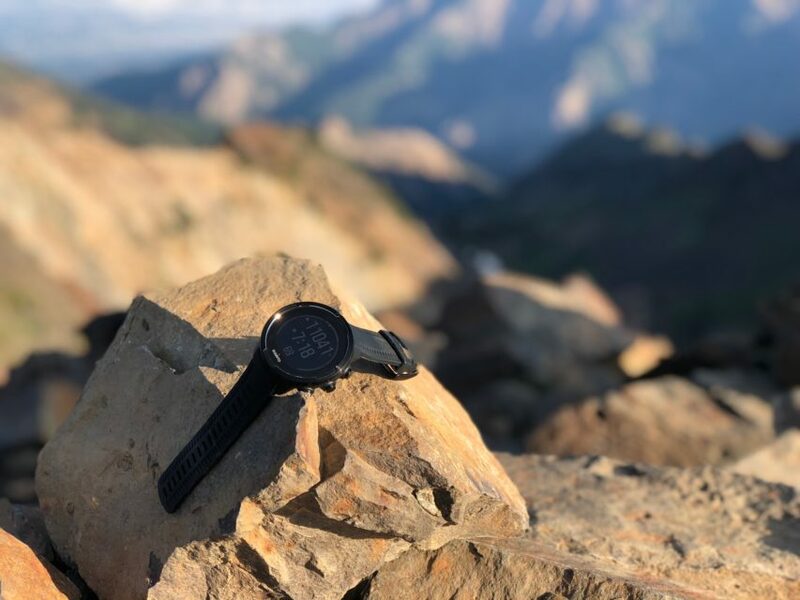 The materials used in both watches are top notch — both have scratch-resistant sapphire displays, stainless steel casings and durable silicone bands that stand up to even the most demanding backcountry adventures. Both the Fenix 5X Plus and the Suunto 9 push the limits on what is comfortable to wear. The Suunto 9 has a small leg up on its Garmin competitor because of it is slightly smaller in size, weighs a few grams less and has a curved band which is comfortable to wear. The buttons on the Suunto also are somewhat smaller than the Fenix 5X, so they are less likely to snag on your sleeves or dig into your wrist. Battery life is the flagship feature on the Suunto 9, and it shows. Suunto developed a feature called intelligent battery mode that monitors both your battery life and your exercise. Before and during an activity, the watch tries to predict how much battery life you have remaining for your workouts. It will remind you to either charge your battery before a workout or change battery modes in mid-workout, so you don’t run out of juice. The Garmin Fenix 5X Plus has different battery profiles, but the watch doesn’t have the reminders or the power level monitoring of the Suunto 9. The Suunto 9 also blows the Fenix 5X Plus out of the water when it comes to longevity. The Suunto delivers up to 120 hours of continuous tracking in its Ultra mode as compared to 70 hours for the Ultratrac mode on the Fenix 5X Plus. And Suunto isn’t just producing ugly straight-line GPS tracks in ultra mode, the watch is delivering a track with distance calculations that are surprisingly accurate. Suunto achieves this feat using its FusedTrack technology that provides a GPS-quality track without using GPS. To conserve battery life on long runs, Suunto dials down its GPS tracking from one point every second in performance mode to once every two minutes in ultra mode. This is where FusedTrack kicks in and uses motion data to fill in gaps between each GPS point. Instead of long stretches of straight GPS lines and inaccurate distances, the FusedTrack technology produces a track that closely mirrors a track recorded in normal performance mode. This is a huge bonus for ultrarunners — you no longer have to sacrifice your tracking data to eek out more battery life from your watch. You can have your cake and eat it, too. We awarded a tie in the sports mode and tracking category because both the Suunto 9 and the Garmin Fenix 5X Plus excel in tracking and analyzing your workout. Both watches support a variety of sports, have excellent GPS accuracy and provide a wide range of performance metrics. The most significant difference is customization. The Garmin Fenix 5X Plus is highly customizable allowing you to change both the data screens you view while exercising and the widgets that summarize your performance and health when you are not working out. The Suunto also is customizable, but it is limited when compared to the Garmin. The Suunto’s biggest claim to fame is itsFusedTrack technology which is a showstopper when it comes to collecting data on ultra-distance races or training runs. 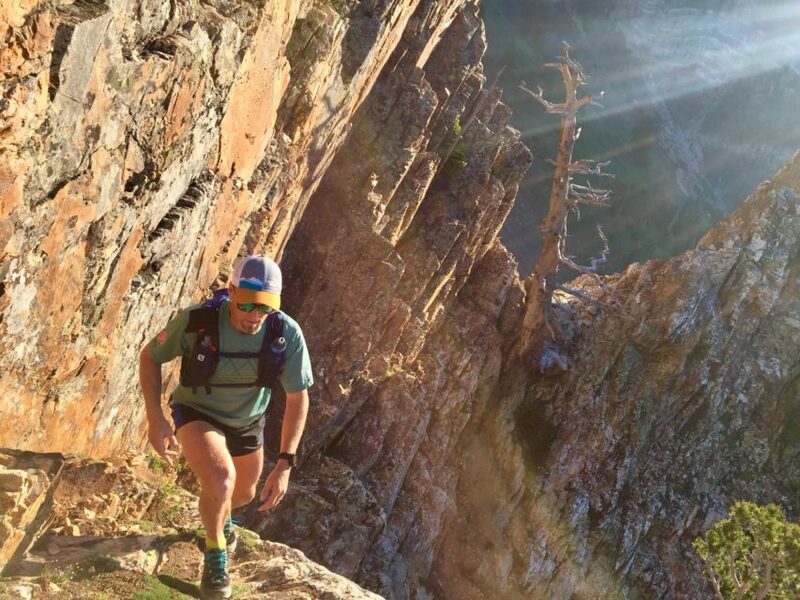 Garmin gets the edge in the sensors and connectivity department because it offers more than the Suunto 9. 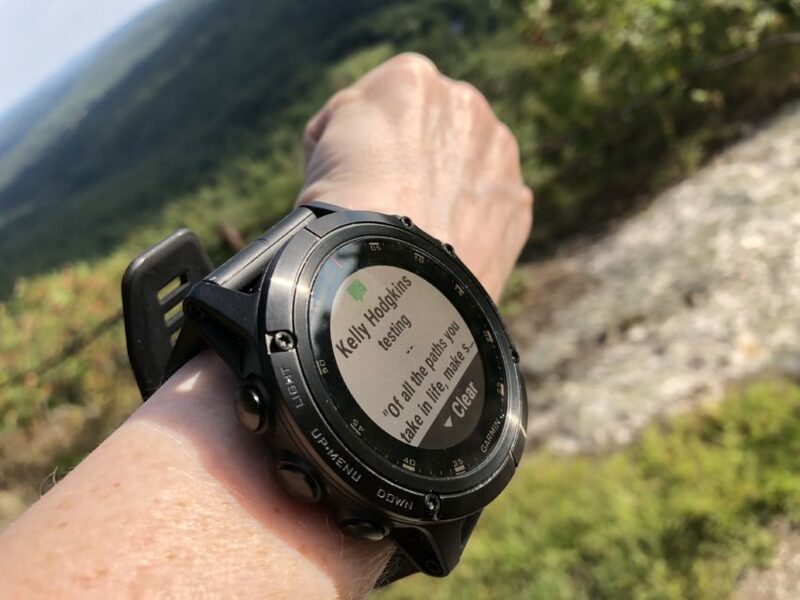 Both devices include the standard suite of sensors and connectivity options, but the Fenix 5X Plus offer these standards and more. 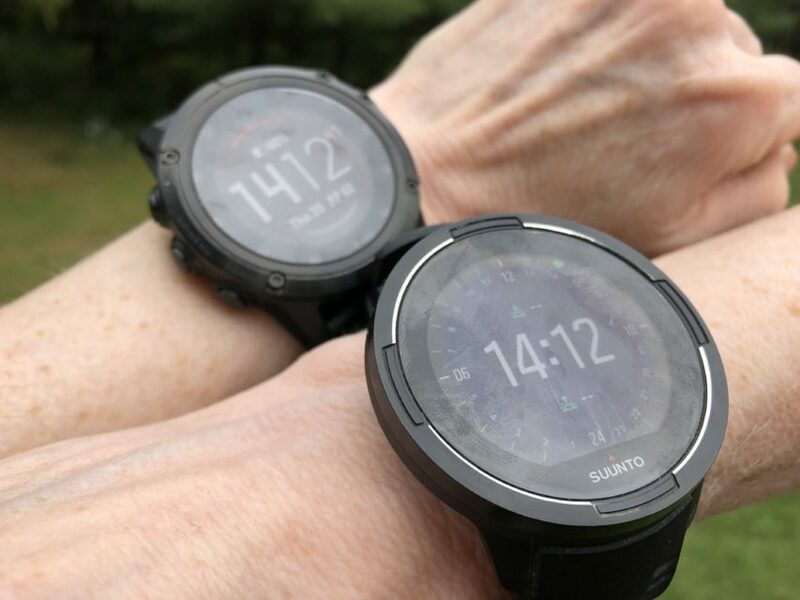 Both the Garmin and Suunto devices use Bluetooth to connect pods and other peripherals, but the Fenix also supports ANT+ devices, while the Suunto does not. Other extras on the Fenix and not on the Suunto include Glonass and Galileo satellite tracking, WiFi, and NFC for payments. One significant sensor that sets the Garmin apart from its competitors is the pulse oximeter which measures blood oxygen saturation. 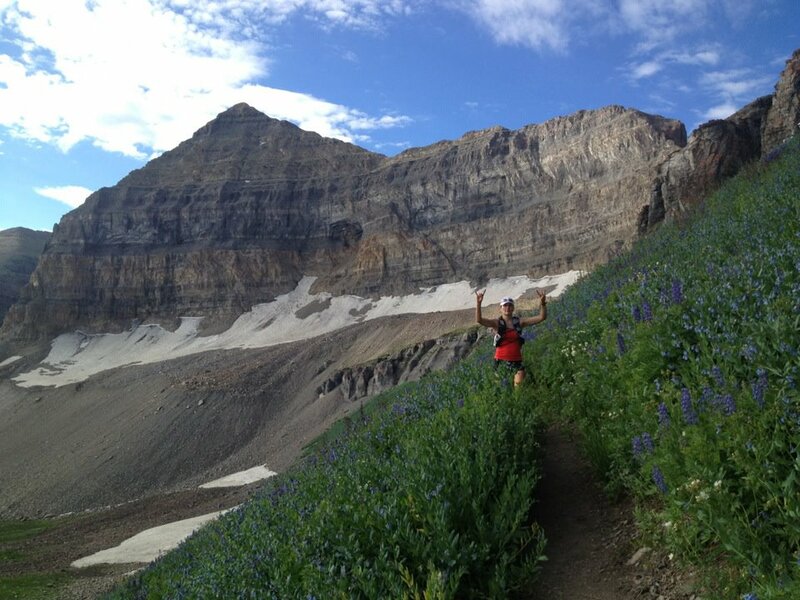 In the 5X Plus model, it is used for measuring acclimation to high altitudes. 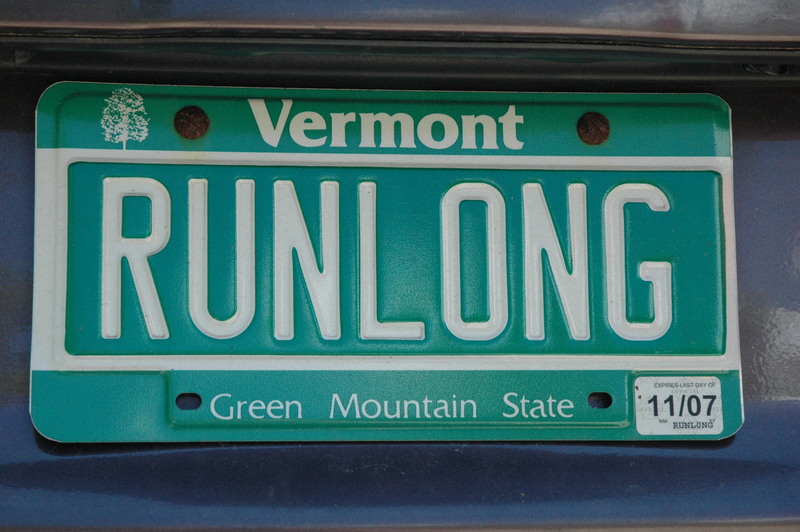 Mountain runners and alpinist will appreciate this additional metric, but there is one caveat. The sensor requires you to be absolutely still to take a reading which can be challenging during a race or a strenuous workout. Both the Fenix 5X Plus and the Suunto 9 do more than just track your workouts. Both devices have a 24×7 wrist-based heart rate monitor that can track your resting heart rate and an accelerometer that counts your steps. Garmin does an overall better job at analyzing this wealth of health and lifestyle-related data. The Fenix 5X plus provides advanced sleep metrics so you can view your sleep stages and movement throughout the night. It also tracks your heart rate during the day and uses this information to generate your stress level. The Garmin Fenix 5 Plus edges out the Suunto 9 in the smartwatch category. Both devices connect to your phone via Bluetooth so you can receive incoming alerts on your watch, but that is about all they have in common. The Suunto 9 allows you to see the incoming alerts, but you cannot reply or interact with them. You can dismiss the notifications, but they won’t disappear from the watch until the alerts are deleted from the phone. The Fenix 5X Plus lets you remove notifications both on the watch and on the phone, and you can even choose to answer or decline phone calls. It’s a small but useful feature to be able to delete a message or reject a call on your watch without breaking stride. 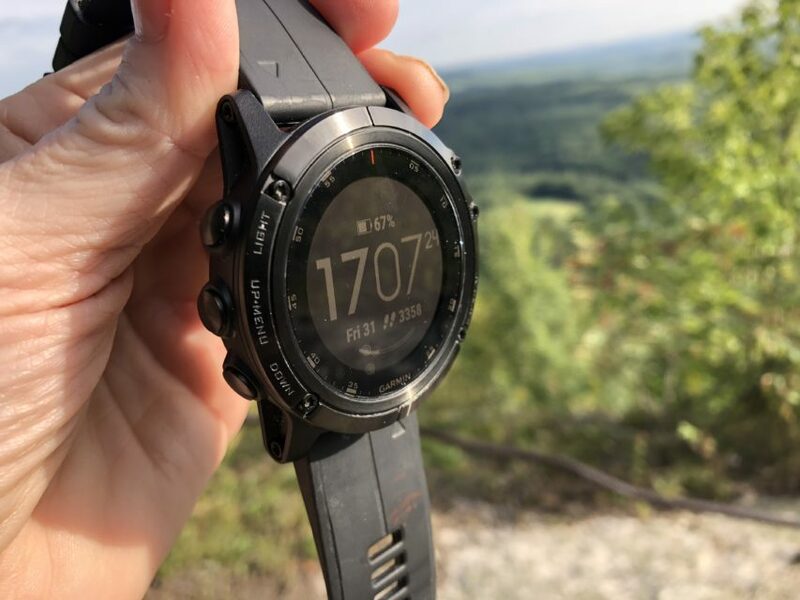 The Fenix 5X Plus blows the Suunto out of the water with its color topo maps and navigation features like trendline popularity routing which finds the most popular local trails and ClimbPro which breaks down each hill on your run. The Suunto 9 offers navigation, but it is a breadcrumb map that shows you where you need to go on a route and where you have been. 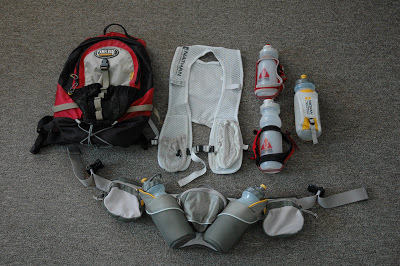 It has the basic necessities, but it just doesn’t have the wow factor of Garmin’s color maps. The Garmin Fenix 5X Plus is the first Fenix version to offer onboard music. The watch has 16GB of storage space for up to 500 songs. Transferring music to the device is a bit clunky — you can only transfer individual music files, and you have to use Garmin Express. The Fenix 5X Plus does have music streaming (Deezer and iHeartRadio), but tHere is no support for podcast episodes. You have to download and transfer each new episode individually. If you want to listen to music while you run, you’ll need some Bluetooth headphones because there is no onboard speaker. The Suunto 9 does not support music playback. 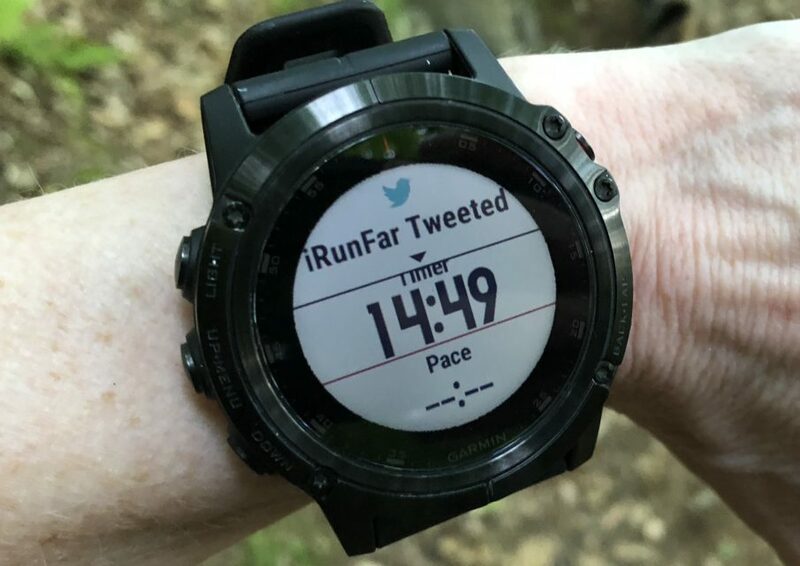 Suunto needs to significantly improve its workout analysis software before it comes close to the usability of Garmin Connect. The Suunto 9, unfortunately, is at a crossroads in Suunto’s app roadmap. 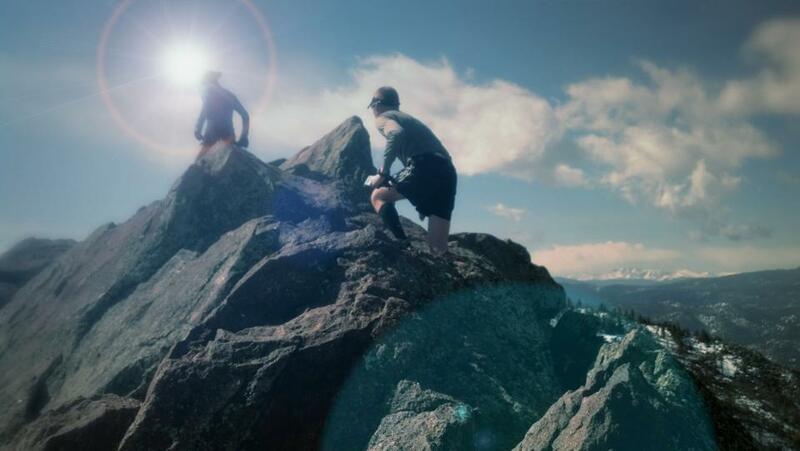 Suunto is moving to the mobile Suunto app and the web-based Sports Tracker app. The Suunto app has a beautiful interface with information about your steps, sleep and calories burned as well as most of the performance details we know and love. The app does a great job representing your workout data, but the lack of third-party support is a dealbreaker. Suunto watches can still connect to the MovesCount service, which provides a deep dive into your performance, but overlooks health metrics like steps, sleep, and more. Suunto is still developing its Suunto app platform and has not added in support for third-party services. The company plans to add support soon, but they have not committed to a date. You can still use the older Movescount if you want to share your data with Strava, but you lose out on the step, sleep and similar lifestyle metrics. Garmin, on the other hand, allows you to share your data with third-party services like Strava and training peaks. And the integration is more than just superficial. In the case of Strava, Garmin imports your Strava segments to your watch so you can compete against other Strava users on your run. 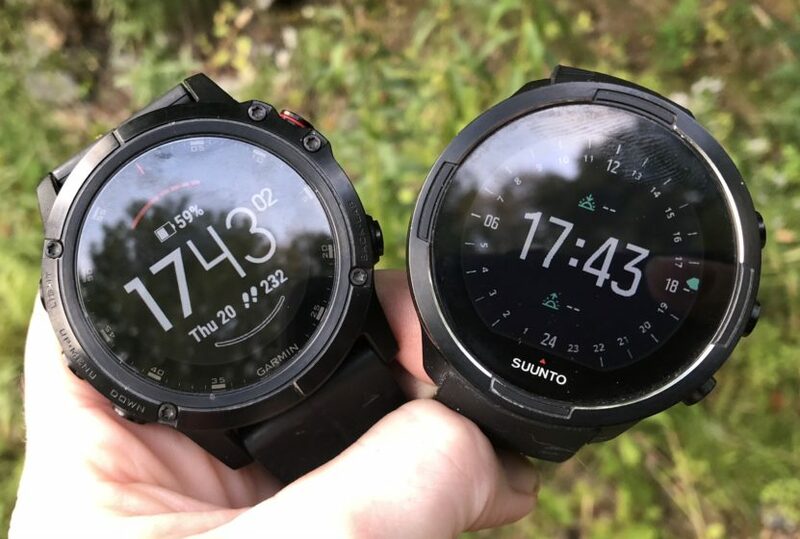 The Suunto 9 undercuts the Fenix 5X Plus by $250, selling for $599 as compared to $849 for the Fenix Plus. Overall, the Garmin watch has more features than the Suunto 9, which is why it costs more. Whether this extra cost is worth it is very personal. For many people, the Suunto 9 has just enough features to track and analyze their performance without breaking the bank. Others want all the features they can get and don’t mind paying extra. You can save some money by purchasing the $799 Garmin Fenix 5 Plus or 5S Plus, which don’t have the pulse oximeter and are slightly smaller than the 5X Plus. 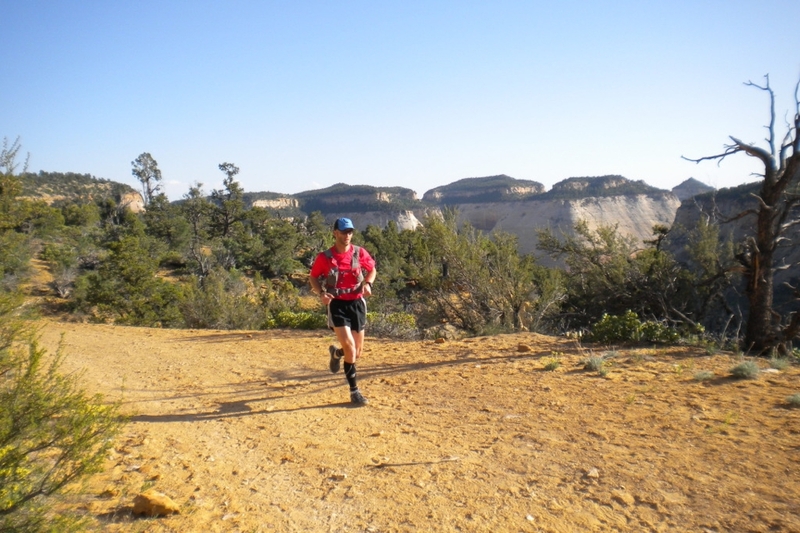 Garmin and Suunto are among the top GPS watch manufacturers and for a good reason. Both the Fenix 5X Plus and Suunto 9 are outstanding devices that are capable of tracking a variety of sports and providing performance metrics to keep even the most data-obsessed trail runner happy. THough on paper, the two devices share the same core features, they really excel in two different areas. The Suunto 9 is a long distance runners dream with outstanding battery life and fantastic GPS tracking. The Fenix 5X plus appeals to runners who want total control over their data and don’t mind paying a bit extra for this detailed analysis. No matter which multi-sport watch you purchase, you undoubtedly will be happy with your purchase. Basically all you get with Suunto is a prettier smaller watch that costs less because it’s worth less. To anyone reading, if you are a real runner/triathlete/athlete looking to get a worthy watch that actually preforms in terms of GPS, heart rate, and other useful data (which is why you are buying the watch, really), go get a Garmin. why ? is it easy to use mac with the suunto watch ? do you know if the suunto watch works with the runkeeper app ? I’m surprised nothing was said about the wrist optical heart rate monitors on both of them and how they compare. I’m surprised that nothing was said about the wrist optical heart rate monitors on both of them and how they compare. That is a good question! I was quizzing myself on the accuracy. And what about making your own app. I have a suunto mysels and it’s pretty easy to make an onw app. But I’m missing a few functions (programming for example an autolap in your app). Does the Garmin have more possibilities? As far as I know it seems a lot more complicated to make an app for a Garmin.